At Beyond Carpet Cleaning, our technicians keep service vans ready to respond to emergency flooding situations at residential and commercial properties. We know that water travels quickly during a flood, requiring a fast cleanup process to avoid extensive damage to carpeting, floors, and walls. We offer innovative water damage restoration that includes analyzing the type of flood that occurred. Clean water from leaking appliance hoses or faucets is the easiest to remove due to fewer contaminants. Alternatively, invading water from broken sewage systems is extremely dangerous due to high levels of pathogens, requiring a specialized cleaning by experts. Extensive training is needed to extract filthy moisture from drywall and wall-to-wall carpeting to avoid contracting an illness from bacteria and viruses. Our technicians understand how to remove moisture correctly to destroy pathogens that lurk in fibers and wall insulation. Water damage restoration requires our technicians to use commercial grade cleansers to eliminate parasites from surfaces. With industrial-strength extraction machines and water pumps, we can remove moisture quickly from basements and electrical wiring. Our Beyond Carpet Cleaning technicians know the proper protocols to use while removing moisture caused by overflowing toilets or rivers. 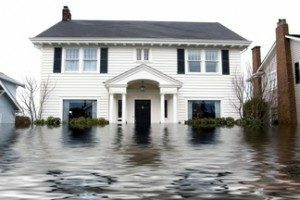 When any type of flood occurs in a building, we are prepared to provide immediate water damage restoration. Call us today for a fast and professional cleanup.